Rabbi Yonatan Halevy, affectionately known as Rabbi Yoni, is the Rabbi and Spiritual leader of Kehillat Shaar HaShamayim. Rabbi Yonatan studied at the Ner Israel Rabbinical College in Baltimore, Maryland, for five years, before pursuing his Rabbinical Ordination at the Sheheber Sephardic Center in Jerusalem. 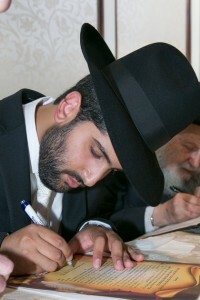 Rabbi Yonatan received his rabbinical ordination from Rabbi Yakov Peretz and Rabbi Shlomo Kassin, in Jerusalem, specializing in the laws of Kashrut, Marriage, and Family Purity. After founding the Jerusalem Rabbinical Academy in 2010, served as its Mashgiach Ruchani – Dean of Students, until its closing in 2012, with a graduating class of eleven, young, American Kashrut supervisors. Rabbi Yonatan was also a rabbi and teacher at Yeshivat Orayta, as well as Isralight’s Coordinator of Alumni Affairs and Rabbinic Education. Each week, you could find Rabbi Yonatan teaching a unique class on Sepharadic Jewish history at Midreshet Eshel, a Sepharadic girls’ seminary in the Old City of Jerusalem. In the past, Rabbi Yonatan has taught classes on various topics in Judaism such as Tanach, Mishnah, Talmud, Zohar, Halachah, Mussar, Chassidic philosophy and lectures dealing with a wide range of contemporary issues in Judaism. He also taught a series of popular lectures via tele-conference, on topics such as Ethics of our Fathers and Halachah. Rabbi Yonatan also gave a popular lecture series in Jerusalem – “Face to Face”, an open discussion, text based, learning series, where the topics were chosen by the group and discussed with Rabbi Yoni on a weekly basis. After living in the Old City of Jerusalem for four years, just up the stairs from the Western Wall, Rabbi Yonatan relocated to San Diego, California, where he entered the world of practical rabbinics and communal work. 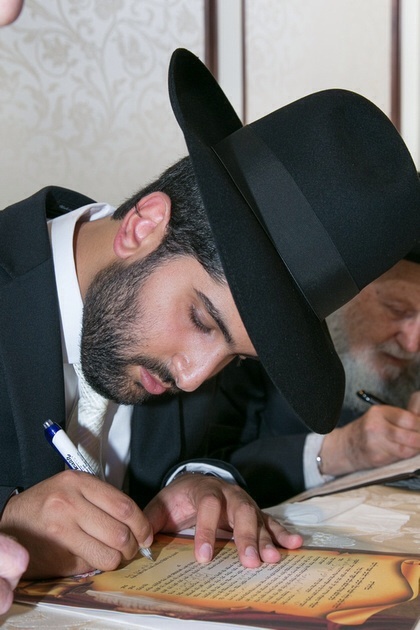 Rabbi Yonatan is married to Rabbanit Devorah, his partner and supporter in all things good, as well as co-Spiritual Leader of Kehillat Shaar HaShamayim, and student at Yeshiva University’s School of Social Work.